One Family Home For Sale In Jamaica, Queens NY 11436. Beautifully Renewed 1 Family, Detach, A Steal Of a DEAL! 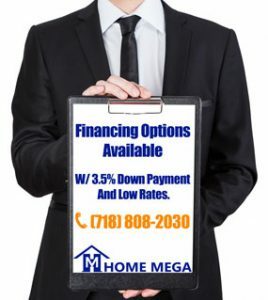 At Home Mega we offer great deals of houses for sale in Queens NY. See this beautiful deal of one family home for sale in Jamaica, Queens NY. Fully renovated And detached Single Family Home For Sale In Jamaica. Gorgeous interior renovation with living-room and dining Section. The bedroom layout consists of a 3 bedrooms and 2.5 luxury designed baths. This Property is also offering a Fully finish basement apartment w/ separate entrance and laundry hookup. In addition to all, the entire house has been upgraded with new Hardwood floors, vanities, recessed lighting and so much more. Lastly, the property offers a Front n’ back yard with a driveway and a detached Garage. Most noteworthy, this is a Fantastic Property in a great location and offered at ONLY $499K! 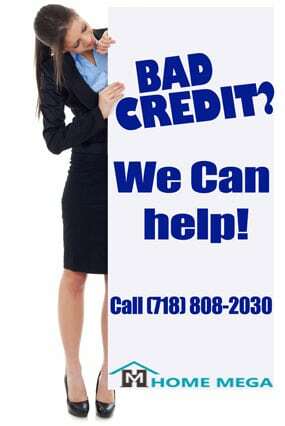 Financing Options Are Available With ONLY 3.5% Down Payment & Low Rates – Just call & Ask me how! One Family Home For Sale In Jamaica, Queens NY 11436. GREAT DEAL - ONLY $499K!